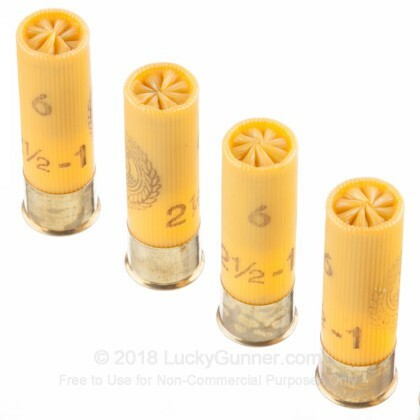 The 20 gauge shotgun has been one of the best shotguns in the world since it came out decades ago.With almost as much power and payload as the more popular 12 gauge, the 20 gauge is far superior in some areas due to its considerably lower recoil. 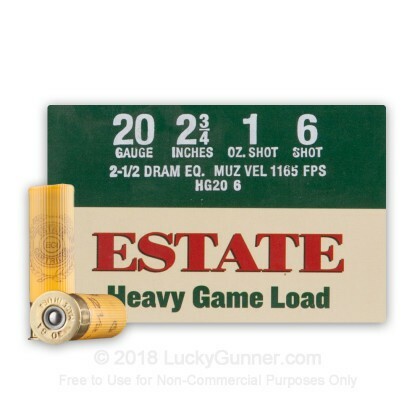 If you are planning to shoot for a long time, such as when you go to the range, the 20 gauge has the perfect balance between payload and recoil, letting you hunt and destroy clay targets with maximum pleasure. 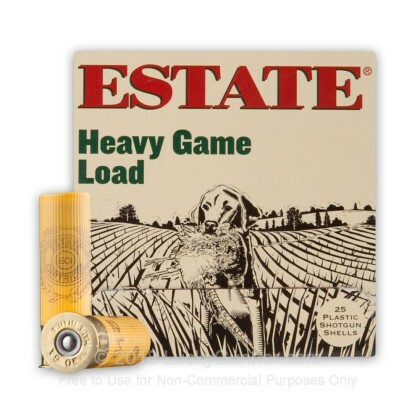 For years, Estate has lead the shotgun world in marketing, distributing, and manufacturing shotgun ammo for years and when you want high quality ammo, Estate is the way to go. 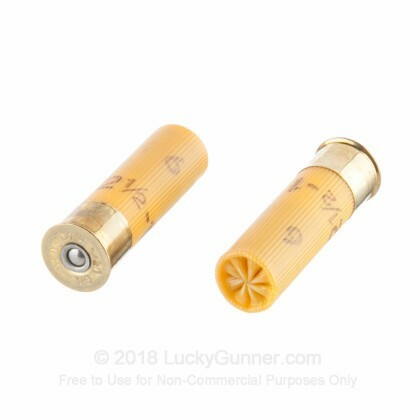 These 20 gauge, Estate Heavy Game Load, 2 3/4", one ounce, #6 shot shells pack a punch that will take down even some of the bigger animals. Firing at 1165 feet per second, you will have no trouble taking down even the toughest heavy game. 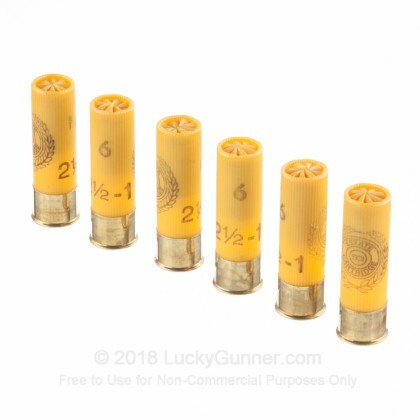 We also have this 20 Gauge - 2-3/4" 1 oz. 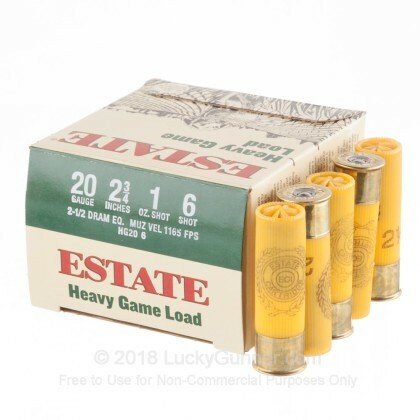 #6 Shot - Estate Heavy Game Load - 250 Rounds ammo in stock in a bigger quantity.